Kownacki’s manager says he’s already discussed the potential fight with Wilder’s manager, Al Haymon. 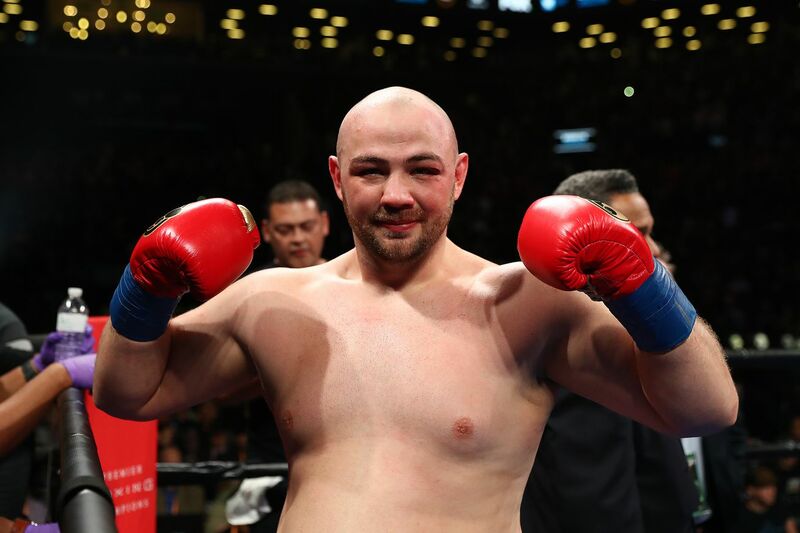 According to manager Keith Connolly, who represents heavyweight Adam Kownacki (19-0, 15 KOs), his fighter could be slated for a bout against Deontay Wilder later in the year if Wilder-Joshua negotiations reamin at a standstill. Connolly tells Sky Sports that a fight against Wilder is in their plans and that they’ve already talked about the potential bout with Wilder’s manager Al Haymon. “That’s the plan. The plan is to fight Wilder in December, January, but if he fights Joshua, obviously that’s out of the window, and then we would have to wait. Kownacki, 29, is a Polish boxer who fights out of Brooklyn. He’s most recently coming off a stoppage win over contender Gerald Washington in January which followed a decision win over Charles Martin last September. And considering that Wilder often fights out of the Barclays Center in Brookyln, Kownacki would seem to be a pretty logical opponent for him.